Your banker makes their loan decisions on the health of your business. Your banker looks at your financial ratios. He or she bases their decision on how much and whether to loan you money based on financial ratios. There is little sentimentality when it comes to money and your bank. They look for hard facts that prove to them they’ll have their loan repaid. Spend a few minutes with your banker. Ask them what ratios are important for them to see. Ask your banker what are the results they’re looking for. Here’s a free tip. Ask them to give you a copy of the RMA report that covers your industry. This is the financial ratio report that banks use when they look at your credit worthiness. This report will show how your company compares to your industry. You’ll know whether you’re going to have enough cash. 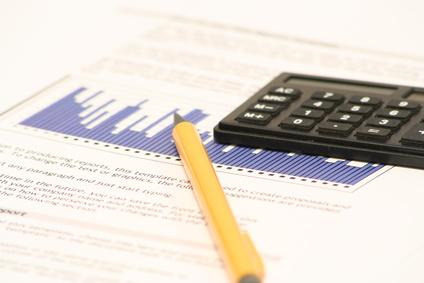 If you can’t read your financial statements, there’s a chance that you could run out of cash. It’s really easy to have profits in your business and end up with little or no cash. If you understand key financial ratios such as current assets/current liabilities otherwise known as a quick ratio you can see whether your company is in trouble. It’s really easy to have profits while increasing inventory and increasing accounts receivable. If you do this, you’re using cash even though it looks like you’re making money. I know this from first hand experience. When I was in the vending business we had several years we were growing like crazy. I kept buying vending machines with cash. Our profit and loss statement showed nice profits. I hadn’t learned how to read a cash flow statement or a balance sheet. If I knew how to do that, I would have realized I was running out of cash. Not knowing this information almost cost me by business. You’ll know whether you’re covering your cost of capital. In a small business your cost of capital is very high. This is because you don’t do much business and you need to have money for growth, a rainy day fund, and enough for you to live on. If you understand how to figure out cost of capital you have a quick and easy way of figuring out whether you’re making enough money to have a successful business. If you spend time learning about this important financial ratio you just might make business decisions that will make it possible for you to leave your business when you want on your terms. Too often I see business owners turn fifty-five years old and not understand why they don’t have enough money to retire. It’s a pretty simple answer. Those owners never learned what cost of capital meant. Your business has ratios that are important for you. Spending time learning about finance and how it affects your business could mean the difference between success and failure. There are over thirty ratios you could track in your business. I can tell you one thing; you’re not going to track all of them. Instead, learn which ones are important in your business and why they’re important. You just might be motivated to do something about making important ratios move in a direction that will help make your business more successful. What do you think? Is it worthwhile for you to spend a little time and effort to learn which numbers and which formulas make your business pop? Find someone who can teach you what’s important. Try to not let your eyes glaze over. You’ll be glad you did. We have a special report on key metrics in your business. This report will help you start to figure out which numbers are important and which measurements move the needle in your business. To get this report, click on the button below.